Indian Prime Minister, Narendra Modi is one such person who leaves his mark wherever he goes. Be it another state or a country, he manages to catch the attention of many with his words and actions and sometimes with his picture. 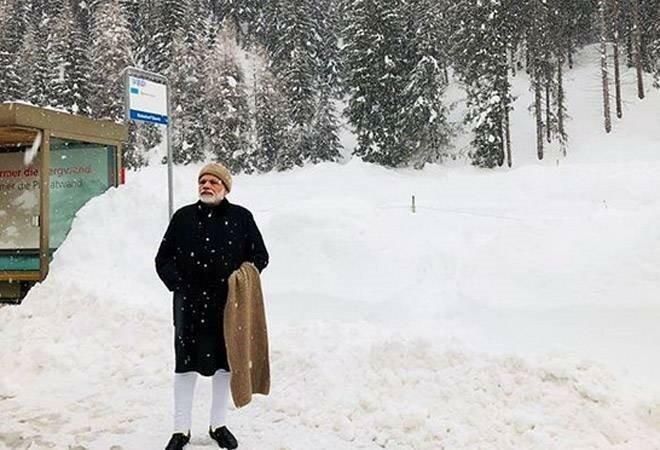 Recently, Modi visited Davos, Switzerland to attend the World Economic Forum that caught the attention of the media people from all over the globe as it was a very special moment for our country since he was the first PM who attended the event in two decades. During the event, he gave a speech that included many important issues like that of terrorism, climate change and protectionism challenges. Well it was not only his speech but a picture of PM Modi that went viral on the internet and Twitterati could not stop itself from making hilarious comments on the photo. 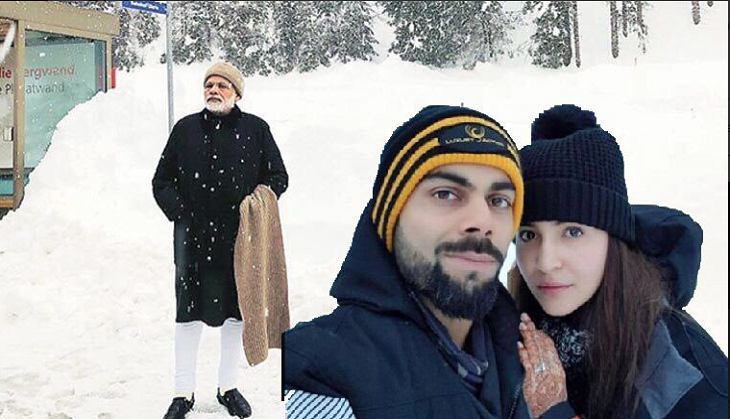 This is the second picture that has been clicked in Switzerland that got hilarious reactions from the Tweeple as the first picture was that of Virat Kohli and Anushka Sharma's honeymoon selfie. ALSO READ: The Pakistani fans of Virat Kohli and Anushka Sharma edited their honeymoon picture and the result is hilarious!